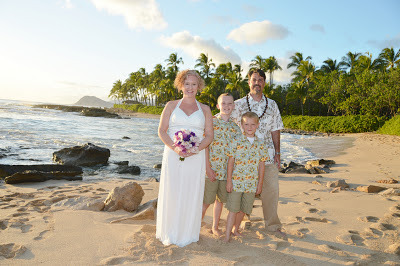 Hawaii has a Disney Resort just a 5-minute walk from this beach. 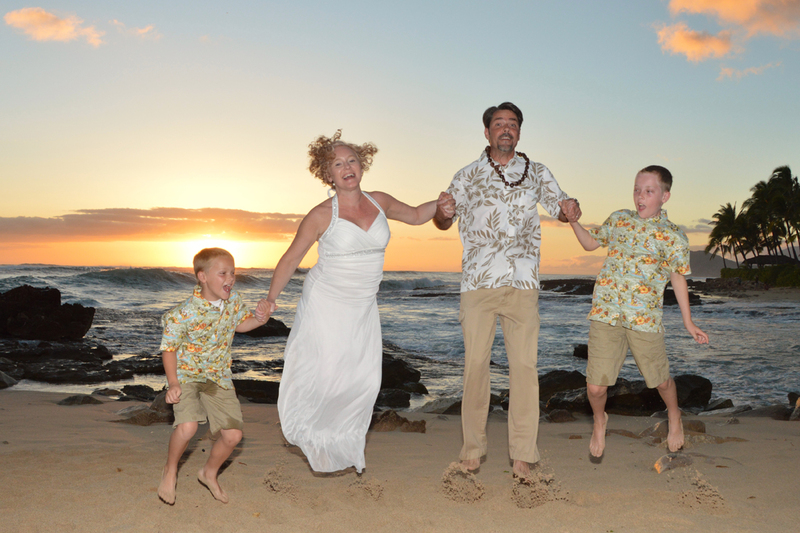 Enjoy a fun vacation and get some great photos with the kids too! 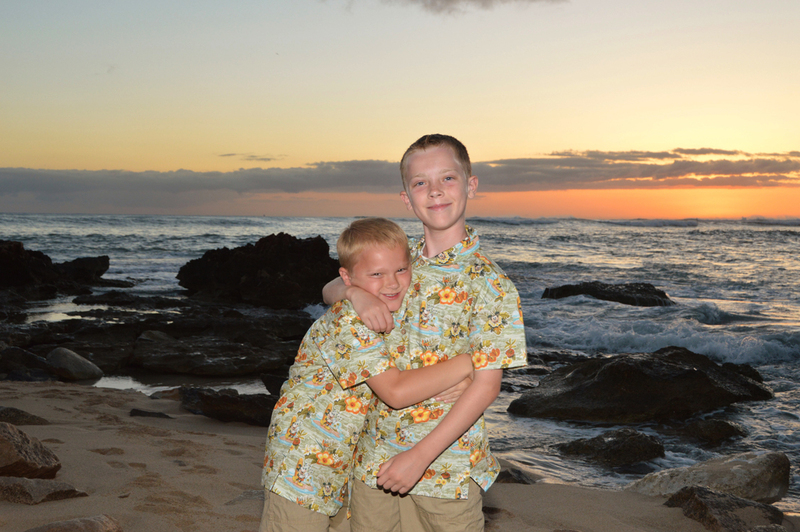 If you click the kids' photo you can see Mickey Mouse on their AULANI DISNEY RESORT aloha shirts.